There is generally very little equipment involved with Pilates so the only real purchasing concern are the clothes worn during your workout. Naturally if you’re a Pilates newbie you’re probably not quite sure what to expect and you definitely aren’t sure about what to wear, so we thought we’d give you a helping hand to eliminate any uncertainty before you walk into the studio! Pilates involves stretching, bending, twisting and floor work that is hard to master without comfortable clothing, however we do advise that workout clothes are form-fitting and unrestrictive. Even if you typically prefer loose-fitting workout wear, you’re going to want to wear body-hugging options so your instructor can see your movements clearly and your clothes don’t get caught in springs, other equipment or end up flying over your head! A good sports bra is something that’s often overlooked for lower impact activities such as yoga or Pilates, but as with all other sports your bra should be carefully considered. All Pilates clothing it must be comfortable and non-restricting and the same goes for your bra. A soft and seamless fabric is important in order to avoid any uncomfortable rubbing on the skin and depending on how rigorous your practice, you might want to look for something with sweat-wicking and odour-resistant properties too – especially if you’re taking a more intense class. The fabulous thing about Pilates is that it’s typically done barefoot, so no need to worry about purchasing expensive top-of-the-range trainers. Instead, either go bare foot or opt for a pair of non-slip Pilates socks to help with traction. A good pair of leggings will elevate your workout by helping you to stay in static positions for longer and support you as you transition from one move to the next without slipping and falling. The difference between a cheap pair and a more expensive pair of leggings is usually in the thickness and quality of the fabric. Even though cheaper outfits can often be comfortable, the fabric they are made out of is often too thin. While they can be great for lounging around the house they can sometimes be see-through during your Pilates session, something that is this is particularly true of the form-fitting styles. We particulary love the Supersoft Yoga Leggings from independent activewear wear brand Ilu. They are seamlessly engineered, they have a high-rise waistband to hold you in and best of all, they look great too! So if you don’t want your underwear on show whilst you’re doing scissor kicks, we highly recommend that you invest in a good quality pair of leggings. As Joseph Pilates once said, ‘physical fitness can not be achieved by wishful thinking, or outright purchase.’ It takes discipline. It takes time. If you take the time your mind and body will thank you for it. The fitness industry is constantly changing. It is hard to stay disciplined, when there are so many things that you need to prioritise and do. You are filled with questions. What should I do to tone? How can I lose so many pounds? How many times do I need to do it to see results? All these questions are hard to answer. They are a burden, and sometimes it takes time to find the answer. Time we do not believe we have. But discipline is what we need to help us find the answer to them. We are motivated by certain periods of time. New Year, summer is coming, fit into that black dress for Christmas time. This time of year the days are getting longer, but the nights and mornings are still cold so the motivation is not quite there. We feel guilty, and that does not feel good, but the couch looks so cosy and warm. If you take small steps, your motivation will build quickly. Do not necessarily look at the end goal, look at the change you want to make in a months time. But motivation does not endure. It does not lead to sustained success. Discipline will endure if you embrace it. Make discipline your friend. A friend you want to spend time with.You enjoy seeing them and want to see more of them. They will commend you when you have done well. They will be there in all weathers, dark nights and cold mornings. It is important to embrace the uncomfortable feelings and pain that come with being disciplined. But it will get you to a better place were you are can move and live well. Feel the fear that comes when you look at the machine, or hill you have got to climb. And then go up, or get on, and focus on your disciplined self. Enjoy watching those people that run in the pouring rain, or hike up the stairs instead of taking the lift. Start looking at yourself as that person and feel pride when you do so. Start embracing that friend that is discipline. Soon after, you will find that you are consistently getting up, even though it is raining, and going for a run, or going to the studio. Work now for what you want to tomorrow. We are now waking up to the sun and the evenings are getting longer. Summer is just around the corner. And it is a time that many of us tend to spend lounging in swimwear, shorts and t-shirts. It also makes many of us aware of what we have been hiding in our jeans and tights. We all know how a gym workout can help you tone your body. But how can our classes help you stride out into the sun with confidence. The barre is used as a prop to balance while doing exercises that focus on isometric strength training (holding your body still while you contract a specific set of muscles) combined with micro movements, which work your deep stabilising muscles. Also, don’t be surprised if your class incorporates weights, soft balls and circles so you can show off your arms, as well as your legs this summer. The instructors are constantly changing the workout to keep you focussed. You may will be surprised how hard you work. The summer look is longer and leaner muscles. It is a high intensity, fun workout combined with strength training. Its main purpose is to get your heart beating harder and it’s a great choice if you want to tone up your legs, bum and stomach particularly for this summer. You will use the reformer in the same way as before, but with an added extra; at the base of the machine, where your feet go, we’ll add a ‘jumpboard’ converting your reformer into a horizontal spring board! It is on a low resistance spring, so that is how you bounce, but you control that movement using your core. It’s fun, it’s fast and burns more calories and for a moment you may well feel like a child again. The summer look is a flatter stomach and strong glutes. This is the core of what we do at CONTOUR and it’s all about your core too! But how do you choose between mat and reformer? The good news is you don’t have to, as we offer both and a bit of a mixture may be beneficial to your routine. The difference between mat and reformer is the use of the machine itself. The reformer helps your body achieve the right position and by switching around the springs, we target large or small groups of muscles to strengthen or mobilise. The spring and pulley systems also mean that the reformer machines offer an increased variety of exercises in comparison to the mat. The straps also mean you get a whole body workout in just 55 minutes as you work multiple groups at the same time. Our most challenging workout. It is fast paced. You are off as much as you are on the machine. And you are consistently using small equipment. You can up the amount of weight if you want to bulk up for summer. The summer look is fat loss, all over toning, and it builds bulk. Pilates has long been recognized as one of the best movement systems for improving core strength and stability, but it’s also one of the most effective methods for toning and sculpting the abs, hips, waist, and thighs. With summer just around the corner, there’s no better time to incorporate reformer Pilates into your routine because remember, summer bodies are made in winter! The real beauty of reformer Pilates is that it’s not restricted to specific body parts, in fact it’s a phenomenal workout for your entire body. Yes, Pilates moves focus on your core and trunk, but that doesn’t just mean your abs. It’s important to know that the core includes your entire trunk, which is the abdominals, the hips, the inner and outer thighs, and the back – so expect an all over workout. 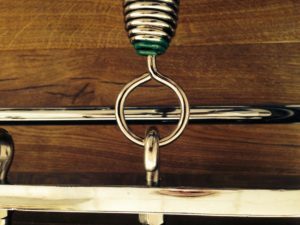 As some of you will already know our workout requires you to work against resistance that can be adjusted using the springs on the reformer. Training with resistance builds strength, and although it often doesn’t look like it’s burning a ton of calories or breaking a sweat, the long-term benefits of greater lean muscle mass are great, including an increased metabolism. Perhaps more important than the physical benefits, the magic of Reformer Pilates runs so much deeper than a flat tummy. Beyond your toned physique your body will be transformed from the inside out. You’ll not only notice the difference in how your body looks and moves, the calming power of reformer Pilates is immense enough to help clear your mind, leaving you de-stressed, relaxed and fresh for summer. This month at Contour we will be turning 3! To celebrate with all our loyal customers we are offering an exclusive promotion for March by offering 50% of extra classes booked. If you have been attending Contour between 6 and 17 months you can redeem 1 class at 50%, if you have been attending between 18 and 29 months you can redeem 2 classes at 50% and if you have been attending between 30 and 36 months you can redeem 3 classes at 50%. If you’d like to take advance of this offer and kick start your summer body please email amy@reformerpilatesbrentwood.co.uk. So the year is flying by and you’ve just realized you haven’t worked out in weeks. It happens, we get it – but thought it might be worthwhile reminding you just what you’re missing out on and why the benefits of reformer Pilates are just so fantastic! Pilates of all styles can be incredibly powerful in providing a place for the mind and body to relax, rejuvenate and release tension. It provides a space for the mind to focus on the present moment and leave all of your worries at the door. The Pilates core principle of breathing oxygenates the blood which in turn triggers the brain to calm down. It creates a physiological response in the body that naturally decreases our stress and anxiety. So not only can you feel the exercises working, but you feel great afterwards too! Whether you’re an athlete or an office worker, Reformer Pilates works wonders to develop strength and correct posture in the key areas of the hips and lower back, and the upper back and neck, helping to counteract the effects of slouching. By activating muscles in isolation and then progressively working them in more compound and dynamic functional movements, we can significantly improve your dynamic stability – the ability of the body to hold itself in better alignment for longer, maintaining upright posture and stability. Reformer Pilates accommodates a full-range of motion, which is perfect for increasing flexibility while building strength too. It seems to invite the length you want to create in the body, and it trains the body to sustain that length. Pushing and pulling with legs or arms against the resistance of the springs, carriage, and body weight is strength building. All of our exercises provide enough resistance and movement variety to help build strong muscles and bones, in a low impact way. So what are you waiting for? There’s a space in our studio with your name on it, and we hope to see you here full of motivation like it’s New Year’s Day. Go get ‘em! With every year that comes to an end almost all of us, all around the world will start reflecting on the year that we’ve had. We want to see how far we’ve come, but we also use it as a marker to start setting resolutions and goals for the year ahead. The New Year is a greatly important time to refocus. A clear and positive mind set will allow our brain to see more possibilities, make us open to new challenges and help us to embrace all the great things that can sometimes be taken for granted. Practicing Pilates makes you more relaxed when it’s time to go to bed. Pilates releases toxins through exhalation and oxygenates your skin, muscles, and organs through inhalation. It’s an amazing natural remedy, and more often than not effective enough to keep you from a restless night. 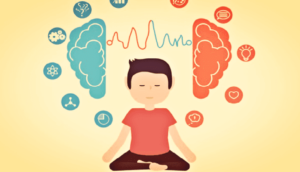 Not only will the practice help you to sleep better, it’ll also help reduce your stress levels, improve concentration and eliminate negative thoughts. Breathing also plays a hugely important role in Pilates and has strong links to re-balancing the mind. Our breathing can be affected by stress and anxiety, becoming faster and shallower as part of the fight or flight response. Over time, changes in our breathing can become automatic as we deal with the constant stresses of daily life. The good news is that Pilates can help us to focus on our breathing and encourages us to breath into our rib cage and use our diaphragm. Gentle, slow breathing using the diaphragm has been shown to activate the parasympathetic nervous system – the part of our nervous system is responsible for calming everything down – it acts to lower the blood pressure, dilate blood vessels and relax the muscles. 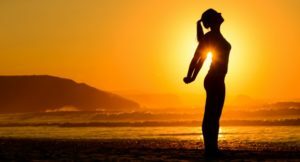 We know that breathing isn’t something we usually really think about, but it can play a vitally important role in how we feel and our overall mind-set. It’s tough to stay mentally focused when you are contemplating the past, worrying about the future, or tuned out of the present moment. Pilates is a perfect time to close off distractions, put away your smartphone and truly engage in the moment. 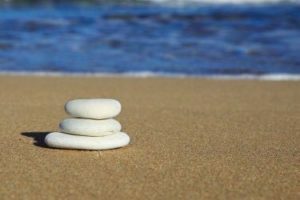 The notion of being present is essential for recapturing your mental focus. Staying engaged in the here and now keeps attention sharp and your mental resources honed in on the details that really matter at a specific point in time. 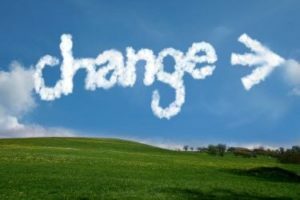 Always remember that you can’t change the past and the future hasn’t happened yet, but what you do today can help you avoid repeating past mistakes and pave a path for a more successful future. And finally, practice makes perfect! Building your mental focus is not something that will happen overnight. Even professional athletes require plenty of time and practice in order to strengthen their concentration skills. One of the first steps is to recognise the impact that being distracted is having on your life, and if you’re struggling to accomplish your goals and find yourself getting side-tracked by unimportant details, it’s most definitely time to start placing a higher value on your time. By working on your mental focus, we’re certain that you will find that you are able to accomplish more and concentrate on the things in life that truly bring you success, joy, and satisfaction. Pilates can be a great way to tone up and strengthen your body, but how do you stay in shape and at the same time maintain a balanced diet? 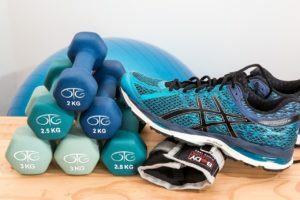 If you have been following our blog series over the last few weeks, hopefully you will have found your exercise mojo after the summer and rebooted your fitness regime! Maybe you have shed a few pounds, toned up and are already starting to see the results of all your hard work since September? But how do you keep those pounds off and keep up with your fitness goals at the same time? This week we are looking at some simple tips and tricks that will help keep you in shape, while remaining healthy and providing the energy you need for your exercise class. This is such an easy way to start the day! Simply spread half an avocado on a piece of wholemeal toast and you are good to go. It’s a much healthier option than a bowl of cereal and will provide your body with more monounsaturated fat which has loads of health benefits, as well as raising your metabolic rate, helping you to burn more fat. Protein is so important for your muscle recovery and growth after an exercise session and should make up about a third of your daily calories. Chicken is a great source of protein, but it can be helpful to think about getting protein from vegetables as well as meat, since vegetables are a great source of antioxidants. I have a soft spot for cheese, and if you are anything like me you will be very happy to know that goat’s cheese is 40% lower in calories than cheese made from cow’s milk. Even if you just look at your fruit bowl in the morning it can set you up for a healthier day. Seeing healthy fruit and vegetables first thing encourages your brain to make healthier food decisions throughout the day. Even better if you help yourself to it over breakfast! A blender or food processor is a great way to get extra fruit and vegetables into your diet. You can easily and quickly whisk up smoothies and soups, increasing your daily intake of fruit and veg with very little effort. It’s also a great way to use up your leftovers before they go off. Finding satisfying alternatives to a tempting chocolate biscuit can be a hard ask, but having a choice of go to healthy snacks will really pay off. Some things I have tried include peanut butter on oakcakes, popcorn and beef jerky- a great source of protein for post exercise. Carbohydrates are essential if you are exercising on a regular basis but not all carbs are created equal. If you find you are eating a lot of pasta and fancy a change, I love soba noodles. Made from wholegrain buckwheat, soba noodles will provide just as many carbs as pasta but they are also thought to lower blood- fat levels. Do you have any smart eating tips to share with us? I would love to hear how you balance your exercise demands with a healthy diet. As winter seems to be approaching all too rapidly, let’s support each other to maintain and sustain our healthy goals from September, so we can head into the party season in the best shape ever! This week I wanted to share some of my favourite pick me up recipes. Hopefully our September series has helped you find your exercise mojo and get back into your routine after the summer. Thinking about what you eat and what you put into your body will help you maintain your energy levels throughout the week, meaning you will be more likely to keep up your workouts and when you do, you will get more out of your workout and recovery than a poorly fuelled body. We all hear so much about what we should be eating and what will help fuel our bodies for exercise. Protein, carbs and healthy fats, combined with a healthy mix of micronutrients are all essential, but sometimes life gets in the way! Even with the best of intentions, it is easy to let food and nutrition slip down our list of priorities. I am totally guilty of this, I love my exercise and unless something drastic happens I always make exercise one of my top priorities of the week. It’s my headspace, my feel good time, it’s the one part of the week that is completely my time and I love it! But when life gets busy I am not quite so good at always providing my body with the right food to support my exercise. If you are like me and food slips down the priority list maybe these recipes can help you! These are my go to when I need a nutrition boost when I’m low on time. The soup is especially great to make up in large batches and freeze individual portions for later. Without these two recipes them there would be a lot more biscuits and unhealthy snacks consumed in our house! This smoothie has a shot of espresso in and so will give you that boost you need just before exercise. The caffeine will increase your stamina during exercise and give you a little energy boost. .
Place all the ingredients into a food processor and blend, then serve. If you prefer it chilled, add a couple of ice cubes after you have made it. This recipe can be kept for up to two days in the fridge. Soup is a great post exercise choice, and is so flexible and nutritious. You can add in extra vegetables to the recipe below to make it just right for you. The vegetables provide your body the nutrition it needs and the liquid will help you hydrate. 1. Fry the onion in a deep based frying pan until soft. 2. Add the garlic and continue to fry for an extra minute. 3. Add all the remaining vegetables to the pan, add the chilli flakes and the stock and simmer until the vegetables are tender. 4. Blend the soup and season to taste. 5. Serve with a dollop of yoghurt, and a sprinkling of pumpkin seeds and extra chilli flakes if desired. Let me know some of your favourite pick me up recipes and how you get on with these! Next week will be looking at keeping a balance in your diet, how to keep in shape and shed a few pounds while maintaining a healthy, balanced diet. In our September series we have already looked at the importance of having a plan in order to make it easier to stick to your exercise plans and goals. But what if you are stuck in a rut and have lost your exercise mojo? We are ready to help you shake things up and get your workout routine working for you again. To do this we need to consider not just the exercise you will be doing, but also the rest your body needs. 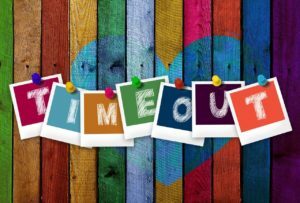 One of the most common things I see in fitness enthusiasts and clients, is a failure to schedule in enough, or sometimes any, rest time. I am guilty of this too, when you are flying and your routine is intense you are buzzing from the exercise, it’s tempting to fit in another class or another run to keep you on that high. But this is a sure way to head for injury or burnout. Your body will cope for a while, but exercise without specific rest periods can be detrimental to building strength and seeing improvements. You need to start being as strict about rest days as you are about making a class. It is just as important and should be scheduled in, in the same way. A rest day doesn’t necessarily mean no activity at all. It often means a change of activity, perhaps a less intense activity where your heart rate is not high and you are using different muscles from your regular work out. Perhaps a walk or a leisurely swim instead of a HIIT session? A rest day should always include some kind of movement as enables active circulation, taking fresh nutrients to your recovering muscles. Make sure you get between 7 and 8 hours sleep a night. Everyone has different needs, but most people cannot thrive on less than 7. You may hear people say they only need 4-5 hours, but their body is surviving not thriving. If you are lacking in hours to sleep, try to make the sleep you do get, good quality sleep. Easy to say, I appreciate! But sticking to a few good habits, like having the same bed time and waking up time every day (even at the weekends), and keeping all screens and devices out of the bedroom, makes it much easier for your body to find a natural sleep rhythm in our busy lives. It’s important that your body has the things it needs to recover and ultimately gain strength during your rest periods. Eating protein directly after a workout provides your body with the amino acids it needs to build and repair muscles. 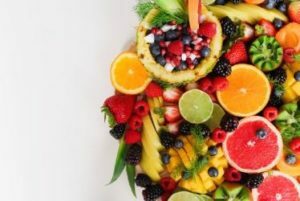 We will be looking more at nutrition in our next blog and how this can help your body recover and I’ll be sharing some of my favourite recovery recipes to help recovery too. your training schedule (including rest days) should be re-assessed on a regular basis as your training continues. If you feel like you need a rest day, you probably do. Even if your schedule says it’s a training day, have a rest, your body will thank you for itand you’ll see the benefit in your next session. For me, learning to listen to my body and override my training schedule is one of the hardest things to do, but if I ignore my body it’s worse! I crash and burn and end up with an extended period of unscheduled rest days, away from the exercise I love, unable to complete my training plan anyway. How many rest days and how much rest your body needs in between your work out sessions is ultimately up to you. You know your body best and you know how hard you can push without threat of injury or burnout. A good rule of thumb is to have at least 2 rest days per week. My physio always used to say to me that you make the most progress during your rest days, the workout is the stimulus but the rest is when your body builds and improves. Planned rest is just as important as planned exercise. Join us again next week on the blog where we will be looking at how nutrition and hydration can work alongside your rest days and how they can both help in your body’s recovery. Mix it up and find a new class at CONTOUR! Variety is what I thrive off and it’s what we are focussing on here at CONTOUR this Autumn. We want to help you mix things up and bring a renewed energy to your works outs and your life. For me, variety makes things interesting, keeps you on track and helps promote new ideas and it’s especially important in your exercise routine. When I dreamed of setting up a studio, I had no idea after only two years we would be able to offer such a variety of classes and this is something that makes me very happy. If you are looking to shake up your exercise routine, we can help you. I often get a few questions about what each workout session involves and what it will help with, so I thought I’d collect all my thoughts together so we can help you mix things up and choose the best variety of sessions for you! The barre is used as a prop to balance while doing exercises that focus on isometric strength training (holding your body still while you contract a specific set of muscles) combined with high reps of small range-of-motion movements. Also, don’t be surprised if your class incorporates light handheld weights to bring the burn during all those reps, as well as mats for targeted core work. Our instructors also offer different workouts. One will throw in a different couple of exercises each week. The other will take you through a routine for around 8-10 weeks and a tough endurance challenge as well. Its great fun, and tough at the same time. The difference between mat and reformer is the use of the machine itself. The reformer helps your body achieve the right position and by switching around the springs, we target large or small groups of muscles to strengthen or mobilise. The spring and pulley systems also mean that the reformer machines offer an increased variety of exercises in comparison to the mat. 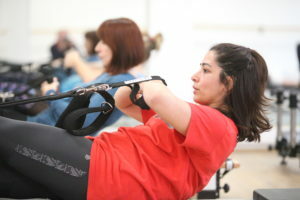 This is our reformer Pilates class but faster and more intense. It’s a whole body work out that focusses on dynamic movements, bringing in movements that you may have tried in circuit classes or as part of gym routines. Emphasis is on effort, focus and results. In the same way as classic Pilates, this class will strengthen and condition but with the added benefits of increasing your fitness and improving your cardio vascular conditioning. This was one of the classes I was most excited about when we started. It is a high intensity, fun workout combined with strength training. Its main purpose is to get your heart pumping and it’s a great choice if you are interested in gaining fitness and losing weight. You’ll use the reformer in the same way as before, but with an added extra; at the base of the machine, where your feet go, we’ll add a ‘jumpboard’ converting your reformer into a horizontal spring board! It’s fun, it’s fast and burns more calories.